Listen, I know that Thomas Keller is Napa’s patron saint of fine dining and all things trendy, but really all I care about is his fried chicken at Addendum. Addendum is essentially the outdoor lunch expansion at Yountville’s Ad Hoc (sans booze), and it’s stolen the show. Open only Thursdays through Saturdays, your best bet is to reserve your lunch online, as long lines can and do often form. What’s on the menu? Fried chicken, of course. (There’s also pulled pork and ribs, but that’s not my vibe). For a mere $16.50, lunch comes with cornbread and two sides that rotate daily, and when I visited, it was coleslaw and baked beans. The coleslaw is about as exciting as potato salad or broiled salmon (read: not exciting) but the baked beans are smoky and sweet and the cornbread is just right. But let’s go back to the chicken. If ever there was a way to make buttermilk fried chicken elegant yet satisfyingly delicious, Thomas Keller has nailed it. Flecked with bits of rosemary and sea salt, this chicken is crispy on the outside and juicy and flavorful on the inside. 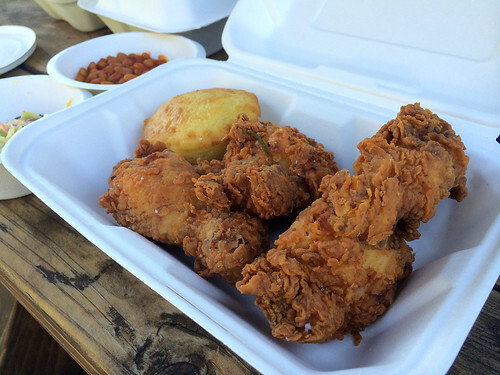 There’s not much that beats sitting outside at a picnic table eating a down home meal in Napa on a warm summer day, so what are you waiting for? Book that online reservation and go for the casual side of Yountville. The chicken is worth it. Masaharu Morimoto has ten restaurants across the world, with another two on the way this year. Still, I was beside myself to try out his California outpost at Morimoto Napa. I used to love watching him on the original Iron Chef series, in awe of Chef Morimoto’s creativity and deftness in the kitchen. 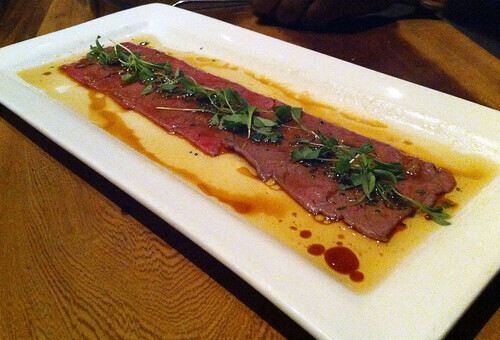 After securing reservations, Nishan and I visited Morimoto Napa on a warm Saturday evening and started our meal with the Wagyu beef carpaccio. Drizzled with yuzu soy, ginger, and sweet garlic, this carpaccio was seared, so it wasn’t a true carpaccio, but it was delicious and tender nevertheless. 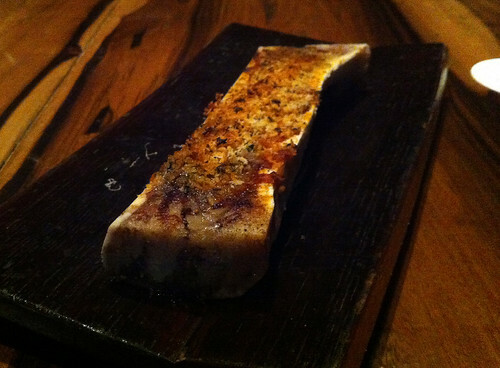 The bone marrow with five spices was next. Earthy and rich, we could have used some toast or other vessel to sop up our marrow. We also shared a plate of marinated dumplings. 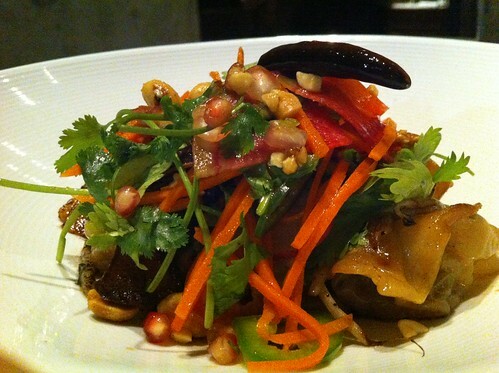 Garnished with peanut salad, pig ears, and chili oil, these dumplings were our favorite dish of the evening. So juicy, so flavorful. The salad was perfect for livening up our palates. 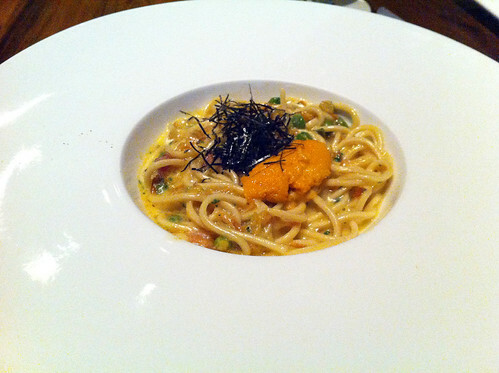 Now, I’ve never been a big fan of pasta carbonara, but I love sea urchin, so I couldn’t resist trying the sea urchin carbonara. The uni was indeed delicious: creamy and faintly tasting like the sea. But the smoked bacon and shallot flavors didn’t win me over, and so I continue to give the Kanye shrug to carbonaras in general. Dessert was the prettiest course: mango “caviar” with vanilla buttermilk panna cotta. 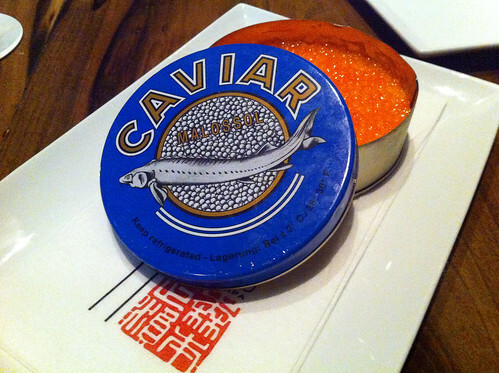 I wish I could have taken the caviar tin home. Basically what I’m saying here is that I love caviar. The service at Morimoto Napa was attentive without being pretentious, the ambiance was upscale and modern, and the location was ideal: right on the Napa waterfront. If I go back, it’ll be to try the omakase. After all, Chef Morimoto was trained in traditional kaiseki (and sushi) cuisine and one can dream of running into him at his wine country outpost, right? Say what you will about Darioush Winery’s over-the-top architecture, expensive tastings, and even more expensive bottles. Yes, it can be a lot to take in, especially along Napa’s Silverado Trail, but who are we kidding here? Napa is the heart of wine country’s touristification. (Uh oh, my Sonoma County-ness is showing again.) 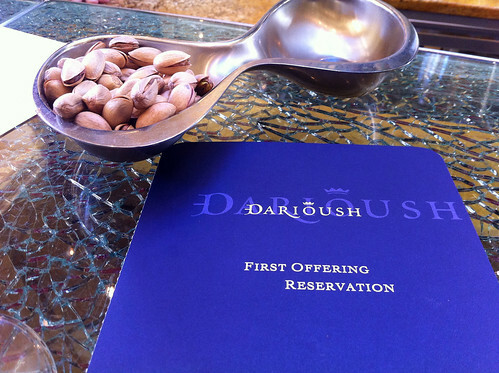 At least at Darioush, the wine is delicious and the grounds are beautiful. 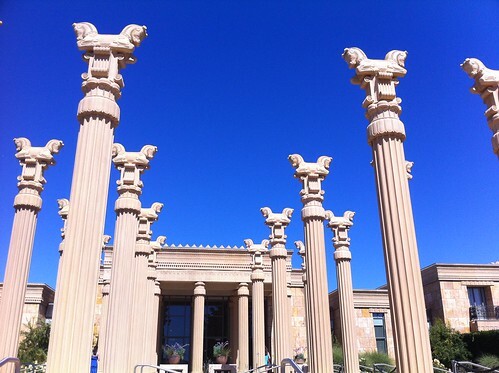 Darioush Khaledi built his winery to evoke Persepolis, the seat of the ancient Persian Empire. He’s an Iranian-American entrepreneur and I tip my (imaginary) hat to the man: instead of shying away from his Iranian heritage like some Iranians who have made it in the US, he’s fully embraced it. During my last visit, Nishan and I stopped by for a tasting, and things have changed. $40 tastings and valet parking. How Tehrangeles. This hasn’t deterred the crowds and Darioush Winery is as bustling as ever, so much so that it was an effort to get the attention of our guide throughout our visit. 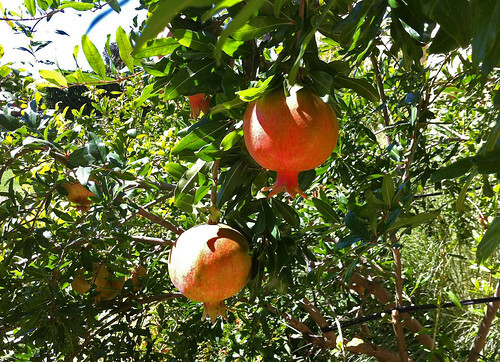 After our tasting, we explored the outdoor garden, dotted with pomegranate trees and fountains full of water lilies. For a moment, you could almost pretend you were in Iran. Almost. I’m a Sonoma County girl, but every so often, I cross over to the dark side and visit Napa for a change of pace. 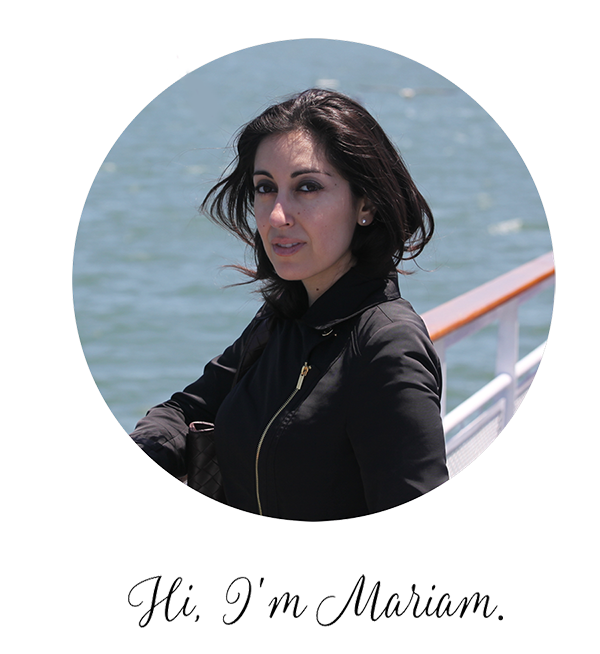 Last fall, Nishan and I visited Artesa Vineyards and Winery in the Napa hills. It might be the most beautiful winery I’ve been to. 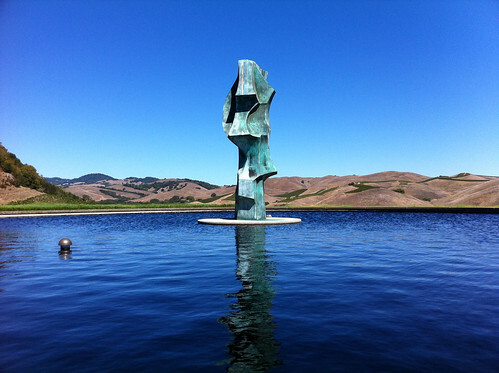 Flanked by original sculptures, mixed media, and panoramic views of the Bay Area, Artesa is breathtaking. Twin cascades and fountains lead to the winery entrance, a Mediterranean structure nestled atop a hill that reflects the architect’s Barcelonan heritage. And oh, the wine. Artesa produces small, premium lots of Carneros and Napa Valley Chardonnay, Pinot Noir, Merlot, and Cabernet Sauvignon. The cabs were our favorite, and our host helpfully gave us wine pairing suggestions. Growing up in wine country, I didn’t appreciate the beauty of the region until I moved to the hustle and bustle of the city. But I mean, c’mon. Good wine, beautiful scenery, and cheese and produce as far as the eyes can see. An afternoon at Artesa was the reminder I needed: what more could one want than this? Bouchon may not be the holy grail of American restaurants, but it’s right next to it. During my weekend trip to Napa, I arrived at Bouchon with my dining companion early enough to explore Yountville’s Washington Street and to my delight, the French Laundry is just a stone’s throw away from Bouchon. Once it was time for our Bouchon reservation, we walked back to the restaurant and to my surprise, Bouchon is far more intimate and casual than I thought it would be, in a good way. The seafood bar was busy and looked like the kind of place I could visit regularly if I lived nearby. 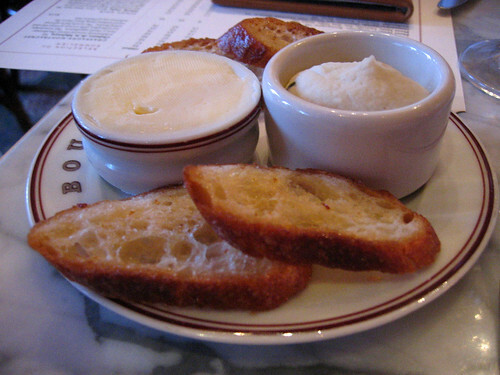 As soon as we were seated, our waiter brought us a toasted baguette with white bean puree and butter. The white bean puree was delicately seasoned with the faintest hint of herbs. I couldn’t stop slathering it on my baguette. Who knew the humble bean could be so elevated? We ordered the boudin de lapin et figue, or rabbit and fig sausage, as an appetizer. 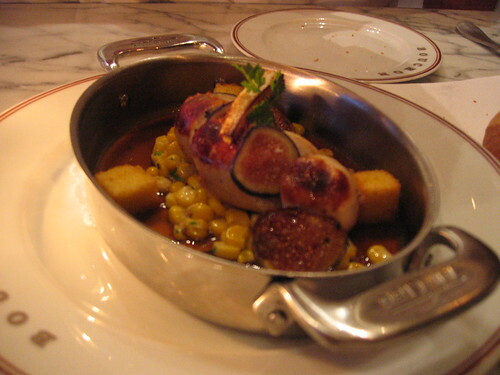 The sausage came served atop a bed of polenta cake, sweet corn, mission fig and tarragon jus. The sausage was delicious, and not too sweet. It could have been easy to let the fig’s intense flavor to overwhelm the rest of the dish, but it was all perfectly balanced. For my entree, I chose the classic moules au pistou, which came served with a massive (and I mean massive) cone of frites. Even though Anthony Bourdain famously quipped about the dangers of eating mussels in restaurants in Kitchen Confidential, Bouchon can get a pass, right? 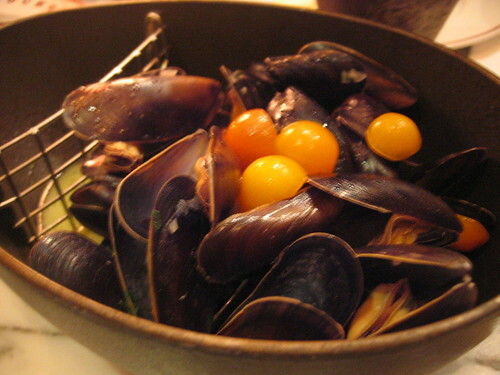 The Maine bouchot mussels were steamed with white wine, sweet garlic, basil and cherry tomatoes and I sopped up the briny juice with my frites. The mussels were tinier than I would have wished, and the sauce was not as strong as I was expecting, but it was still a good dish. 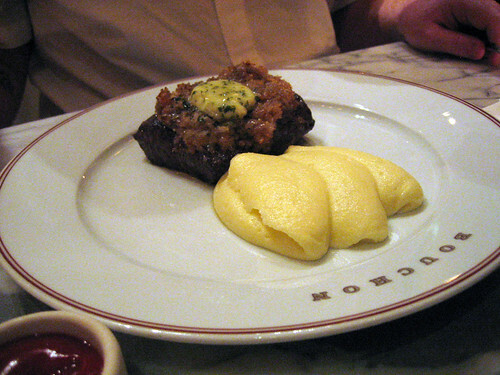 My dining companion ordered the steak with puree de pomme de terre, a pan-seared prime flatiron, served with maitre d’hotel butter and the most ethereal potato puree ever. I had to stop myself more than once from picking at his potatoes. The steak was incredible too: rare, succulent, and topped with savory minced onions. I’m happy to say that I’ve crossed one Keller establishment off of my to-eat list (well, two, if you count Bouchon Bakery). But the French Laundry remains, and so I left Yountville with unfinished business. Bouchon felt like a (delicious) taste of things to come, and I can’t wait to return.